Life writing is usually associated with genres such as biography and autobiography but it also appears in other forms, such as short narratives about one’s life and (partly) fictionalized accounts of one’s experiences published in printed as well as online media. This brief introductory lecture offers students a review of contemporary life writing genres in general and discusses two key concepts related to life writing: identity/self and authenticity. A class discussion about the reading material. Every participant reads the 3 texts specified below, and prepares at least 3 relevant questions or statements that have to do with the way the texts deal with the notions of identity and authenticity. Smith, S., and Watson, J. (2010): Life Narrative: Definitions and Distinctions. In Reading Autobiography. Minneapolis: University of Minnesota Press. Eakin, P.J. (1999): Storied Selves: Identity through Self-Narration. In How Our Lives Become Stories: Making Selves. Ithaca: Cornell University Press. Lauritzen: Arguing with Life Stories: The Case of Rigoberta Menchú. In How Our Lives Become Stories: Making Selves. Ithaca: Cornell University Press. In Heynders’ paper, life narratives documenting the fall of the Srebrenica enclave in July 1995 are scrutinized. The fundamental questions underneath my reading of these narratives is ‘whose stories are told, by whom and how’? Life narratives scratch the boundaries of politics and culture, reportage and literature, and public and private experiences. The bigger context in which this paper is written is my research on the symbolisation of Europe: to get grip on Europe (its meaning, cultural identity, social imaginary and political reality) we need to analyse and interpret narratives on historical facts, their impact and the collective and suppressed memory. The narratives on Srebrenica function as catalyst in the sense that they might help to change today’s articulation of Europe. A class discussion about the reading material. 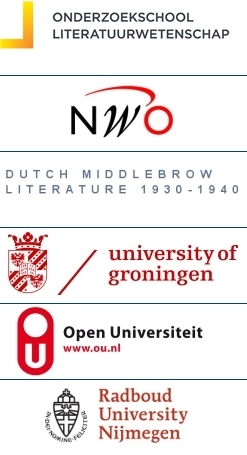 Every participant reads the 3 texts specified below, and prepares at least 3 relevant questions or statements that have to do with the way the texts deal with the notion of European symbolization. Heynders, O. (2012). Life Narrative Perspectives on Srebrenica. Balibar, E. (2003). At the Borders of Europe. In We, the People of Europe? Princeton: Princeton University Press. Will you attend the Ravenstein Seminar on 10-11 January as well? If so, do you want us to book a shared double room in the Ibis hotel in Tilburg? If so, do you have a preference for a roommate? Download PDF of the program here.